In the early years of the film industry, few aspects of the industry were more important than distribution. Film exchanges handled the repair, rental, and advertisement of motion pictures both locally and across geographic regions. Exchanges worked with different production companies to license reels. Their operations could be quite controversial as production companies tried to create exclusivity agreements and prevent piracy. 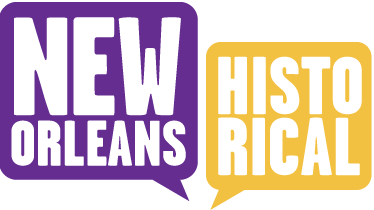 New Orleans exchanges were notorious for not obeying their contracts with Northern producers. This Metro Film Company Exchange office was a sub-office of the Southern Metro Film Corporation, which held its headquarters in Chattanooga, Tennessee and controlled distribution in all the southeastern states. The Metro Film Company Exchange office was an important regional distributor. Located downtown at 407 Carondelet near Exchange Row and under the leadership of manager Karl A. Bugbee, exhibitors would view films in a private screening and sign rental contracts that stipulated how long the film would be shown and the price of the rental. [2, 3] Metro operated from 1915 to 1917. 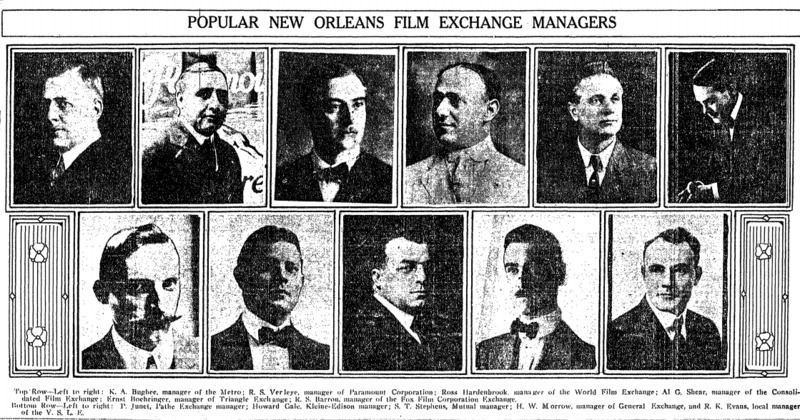 "Popular New Orleans Film Exchange Managers. ": K. A. Bugbee pictured top left. ~ Source: Courtesy of The Times-Picayune Archive. ~ Date: February 27, 1916. 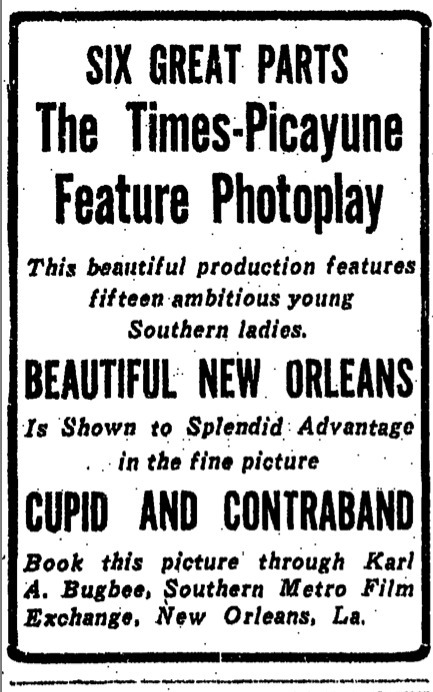 The Times-Picayune Photoplay Advertisement, Distributed by Metro Film Exchange. ~ Source: Image courtesy of The Times-Picayune archive. ~ Date: January 25, 1917. Sophie DeViney and Kathryn O'Dwyer, Editor, “Metro Film Exchange,” New Orleans Historical, accessed April 24, 2019, https://neworleanshistorical.org/items/show/1107. Parker, S.G. “Picture Gossip in Texas.” Moving Picture World 25 (July 1915): 97. “Part II Struggles for Control, 1908-1930.” In The American Film Industry, edited by Tino Balio, 205-07. Madison: University of Wisconsin Press, 1976. “Bugbee Head Metro Office.” Moving Picture World 25 (July 1915): 100. “Karl A. Bugbee Opens State Rights Exchange.” Moving Picture World 35 (January 12, 1918): 266. “Karl A. Bugbee Drops United.” Moving Picture World, June 22, 1918, 1750. “Times-Picayune Feature Shown.” Moving Picture World, December 30, 1916, 1996.